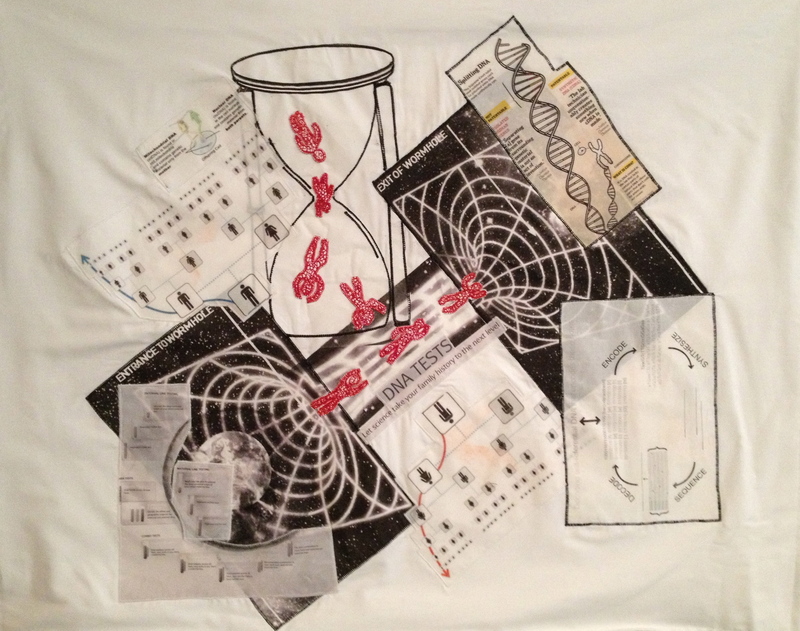 ‘Time Travelling DNA’,2013,H60xW74cms. Freemachine embroidery,inkjet print on cotton,collage,applique,machine stitched. Published February 20, 2014 at 2949 × 2327 in Ancestor Work 2013.